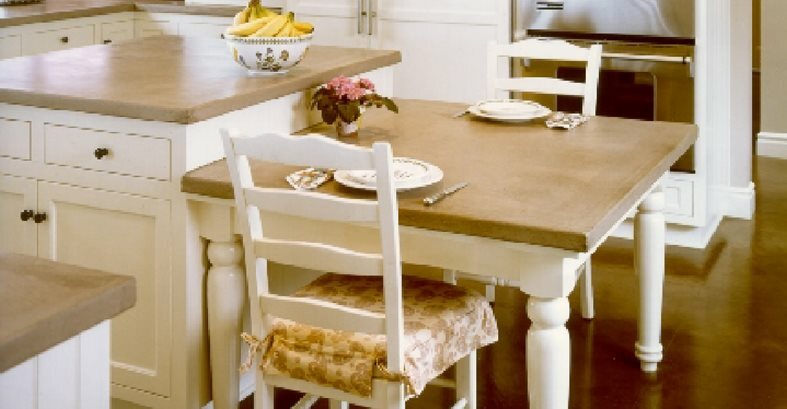 Kitchen floor designs don't have to have the industrial-look when concrete is the chosen flooring material. Although many design networks will refer to concrete as an easy-to-maintain but aesthetically minimal flooring choice, homeowners are finding the opposite to be true. In fact, concrete-aside from its many virtues as being durable, reducing allergens, being cost-effective, and easy to maintain-is gaining traction in the design world because of its capability to be designed in any way. 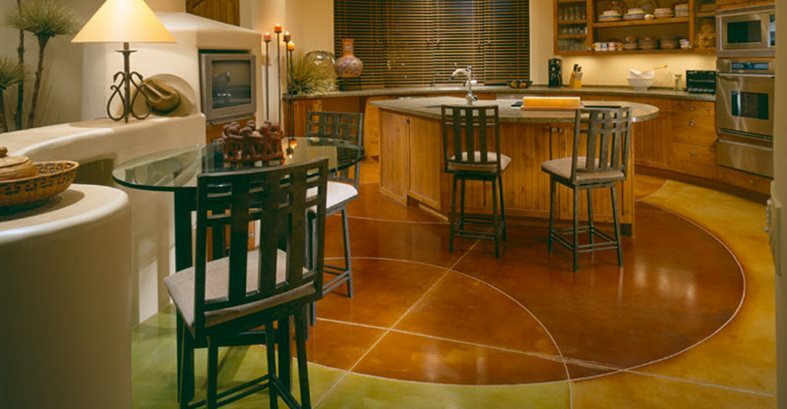 Whether being colored with a warm, solid hue, or having a multi-colored, multi-patterned design, concrete offers true customization for kitchen floors. 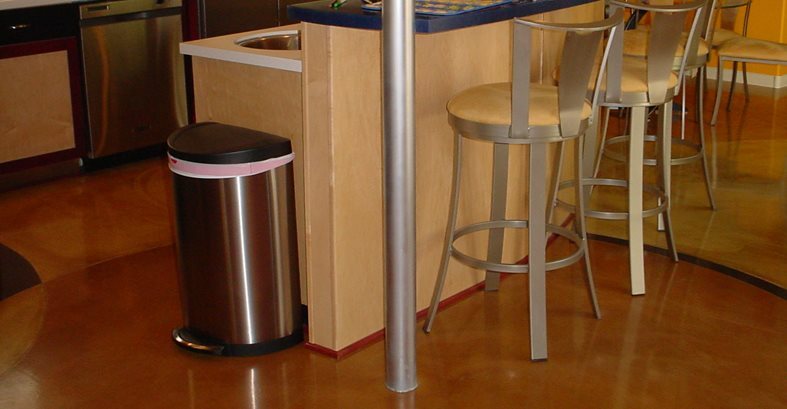 And it can withstand the elements that kitchen floors are exposed to including foot traffic, food and drink spills, etc. 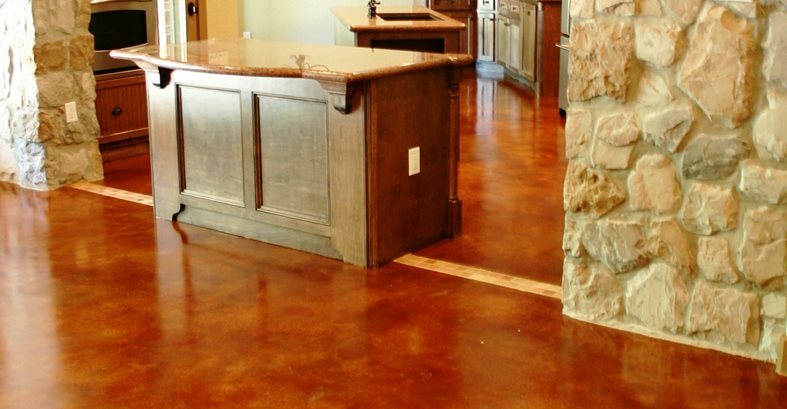 No other surface, such as wood, tile, or linoleum, can resist chipping, discoloring, warping, and staining like a concrete floor can.